Tube lube No1 or Tube lube blue, as some customers like to call it, has been developed for the environmentally friendly tube manipulation market. Tube lube No1 is part of a range of biodegradable lubricants. It is free of mineral oils, chlorinated and sulphur additives. Tube lube No1 will de-grease/break down with water at 80 deg, or you can add a little washing up liquid to speed up the cleaning process. 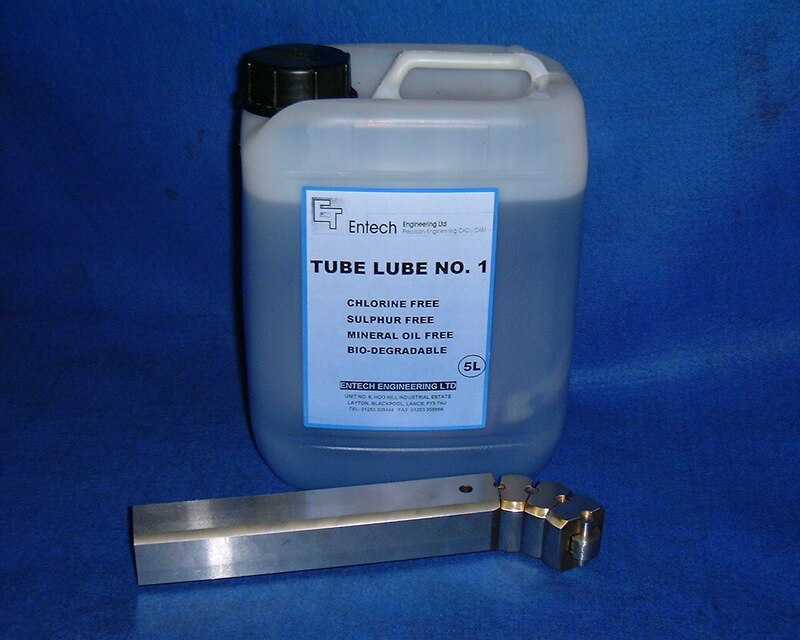 Tube lube No1 has been proven in the heating industry, exhaust industry, general engineering and aerospace. It is also safe to braze or weld with this lube; the fumes have been tested and are not hazardous to health.